The world’s most expensive spice (around A$8/gram), saffron starts as the stigmas of a particular crocus flower, crocus sativus, which must be plucked by hand before drying and storing in sealed containers. 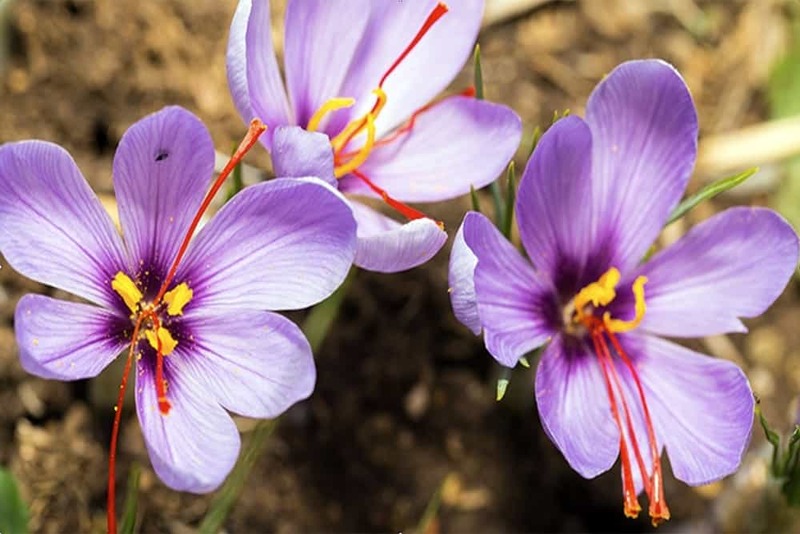 Each flower has three strands of saffron. 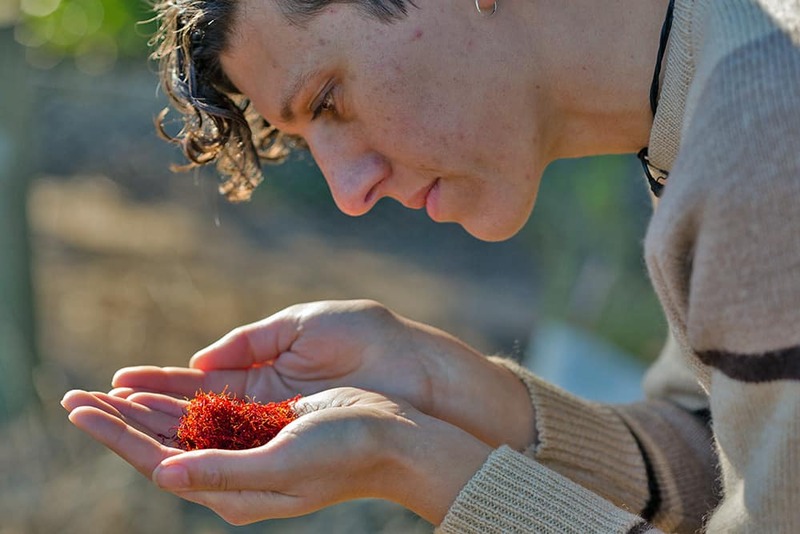 One hectare (2 acres) of flowers will yield only 9 kg (20 lb) of dried saffron. To put it another way, you’d need to harvest about 150,000 flowers to garner 1 kg (2.2 lb) of saffron. And remember, they must be hand-picked…Unless you have trained a monkey. There is a painting from Crete dating to about 1500 BC which depicts a monkey picking saffron. 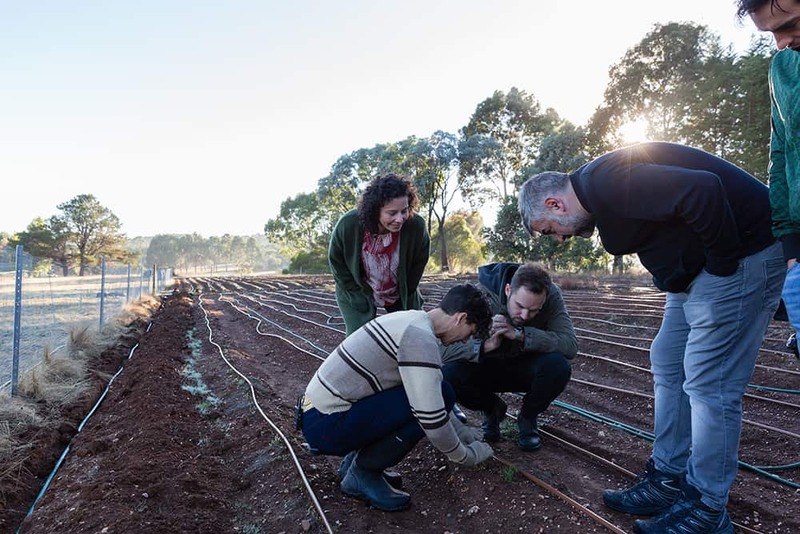 I was lucky enough to visit Gamila at Beechworth, a saffron farm three hours from my home town of Melbourne. I wasn’t lucky in that the crocus flowers which contain the saffron strands were not yet blooming – they saved that for two days after we were there! Apparently saffron is like that, a bit of a heartbreaker but so glorious that you forgive it over and over again. 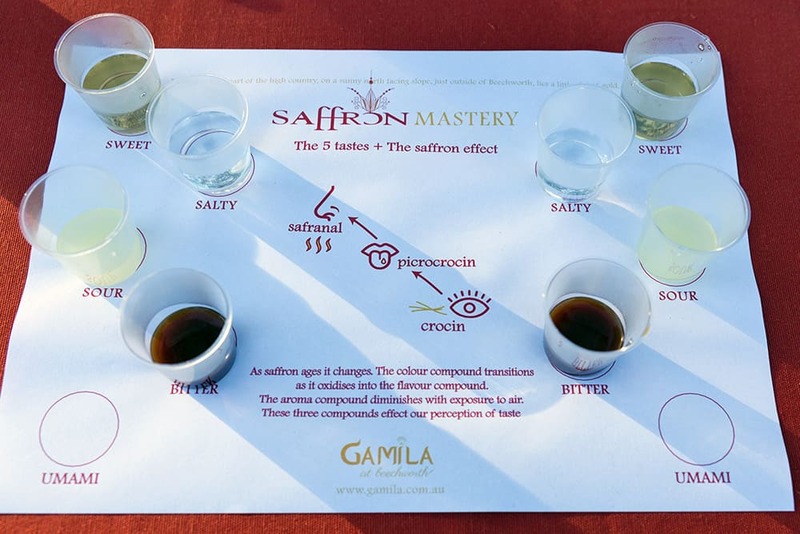 Gamila not only sells saffron but also a saffron extract that she makes. It’s a beautiful and stable way to enjoy this prestige ingredient. See below for recipe ideas, including a wonderful cocktail! See other videos in my series from Victoria’s magnificent High Country. 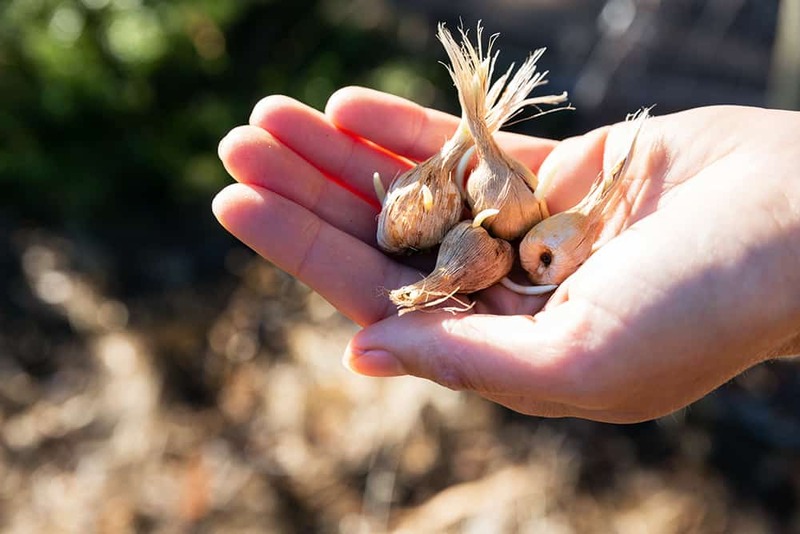 Saffron corms are similar to bulbs in that they grow underground, and are storage units, feeding the plant as it grows. Each corm produces one stalk and, all being well, one or two bluish-purple flowers sprout from it in autumn. They bloom for two or three days only, and their stigma appear as the central styles divide. Stigma can be plucked with fingers or tweezers and must be spread out to cure in a cool, dry place. Saffron sprouted originally in the Middle East but has been cultivated in parts of southern Europe for millennia, and has been known in the Indian subcontinent and China from at least the 3rd century AD. Wherever it’s found, it’s been used as a medicine and dye and, of course, as a food. 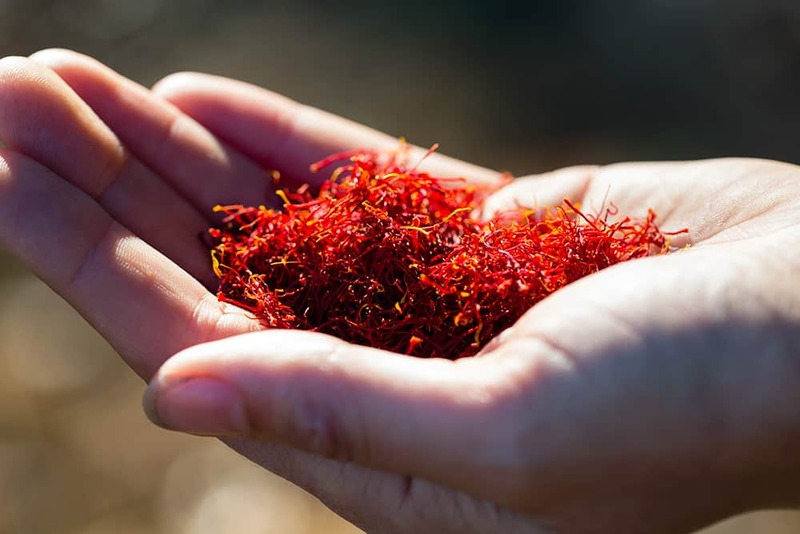 Saffron is a bedrock flavour and colour in many of the world’s iconic dishes, including the bouillabaisse (fish soup) of Provence, the pilafs and biriani rice dishes of India, the paellas of Spain and a yeasted saffron cake from England. Saffron is earthy and spicy, pungently fragrant and lends its warm tinge to sweet and savoury dishes. I think it smells a bit like hay, if hay was also spicy. There are different grades of saffron and it does perish over time so store it in an air-tight container in a cool, dark place and use it! Sometimes when we have something precious we tend to ‘save it’ because it’s so good. But I think it’s better to use it, enjoy it, then get some more! Saffron isn’t cheap but you don’t need much to flavour and colour a dish. If you find cheap saffron, it might not be real saffron. Turmeric and safflower are the most common substitutes, and commercial saffron essence is usually made with artificial flavours. It’s better to buy real saffron from a reputable supplier or brand. To make the most of saffron, use a mortar and pestle to grind the strands to a powder. You can add a pinch of sugar or salt to make this process easier. Then infuse the ground saffron in warm liquid (water, stock or milk are all good) before adding it to your dish. You can also add the strands directly to liquid (or butter) that is to be warmed. The important thing is to give the saffron time to release its flavour and aroma. Having said that, you don’t want the saffron to overpower the dish. Think of it as a ‘best supporting actress’ that will round out or highlight other tones. 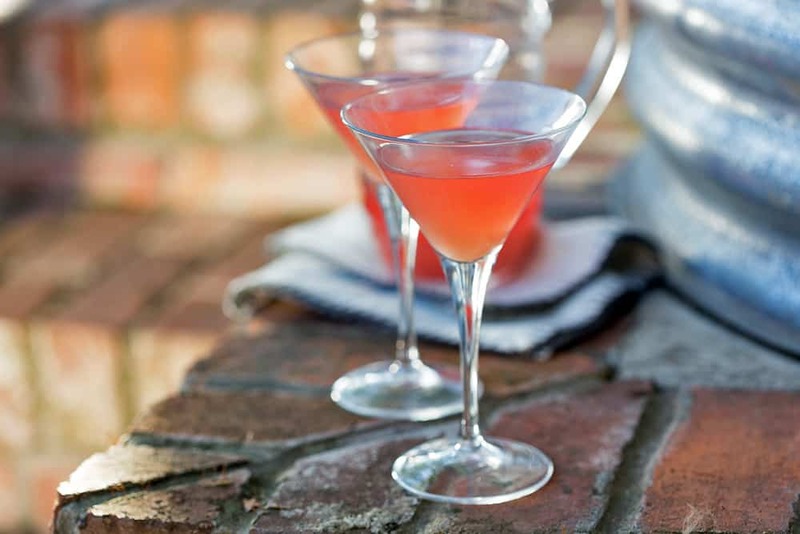 This elegant and party-friendly spin on a classic martini begins with a colourful, tasty rhubarb syrup that’s spiked with saffron. Then we add our pink potion to gin and vermouth and turn it into a chilled, stirred martini. It’s such a nice drink! 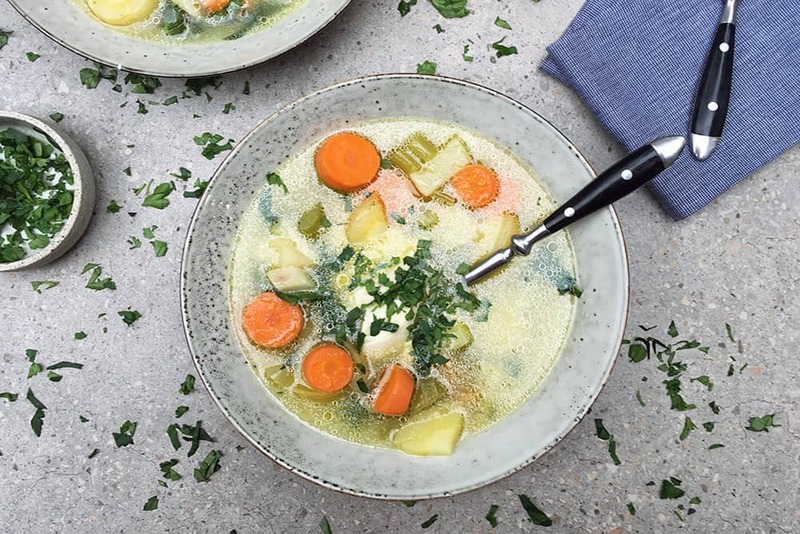 Everybody needs a simple chicken soup in their repertoire: this one is warming, sustaining, nurturing and nourishing. We steam a whole chicken, and the chicken juices flavour everything and form a healthy saffron-spiked broth at the same time. Hydrate saffron in a little hot water and add it along with the cooking water to create your own version of the classic saffron-tinged Risotto Milanese. 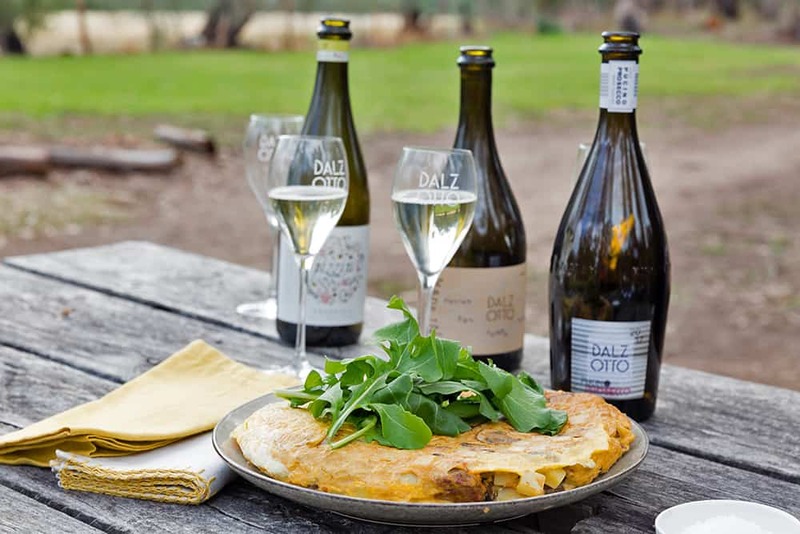 Stir saffron – or saffron extract – in with the eggs to add a deep, rounded dimension to this classic Spanish omelette. Frank Camorra makes his tortilla in the great outdoors over open flame. You can do it his way, or go Thermo-style with our fabulous Varoma tortilla. This elegant and party-friendly spin on a classic martini begins with a colourful, tasty rhubarb syrup that's spiked with saffron. Then we add our pink potion to gin and vermouth and turn it into a chilled, stirred martini. It's such a nice drink! Risotto is a Thermomix classic! It's one of the first dishes many people see when they encounter Thermomix and it's a reliable stand-by for easy dinners. When I first got my Thermomix (back in the misty days of 2008) I made a lot of risottos, so many that I got a little jaded. But it's time to reignite the risotto spark. 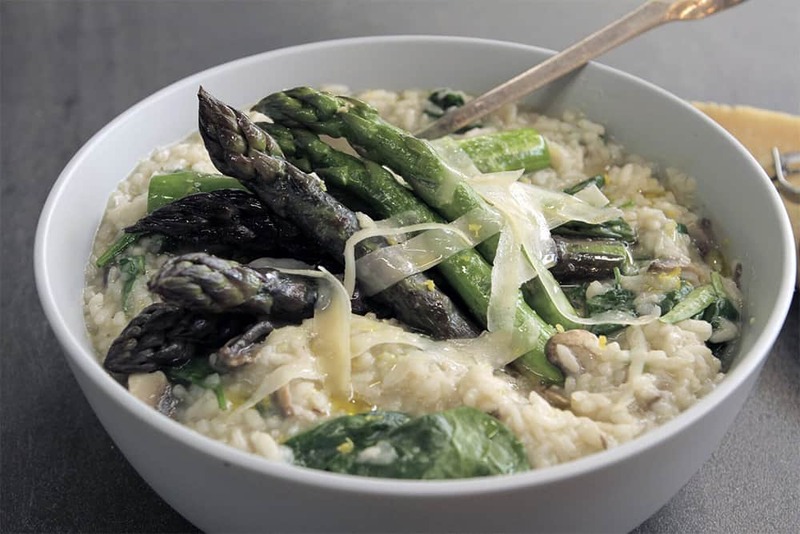 With a few tweaks to the method and a little makeover of the accompaniments, risotto turns from stand-by to star!